The law firm of Weld Riley, S.C. is pleased to announce Attorney Ryan J. Steffes has been elected to the firm’s Management Committee. Ryan works in the Civil Litigation, Insurance Defense, and Labor & Employment Sections. 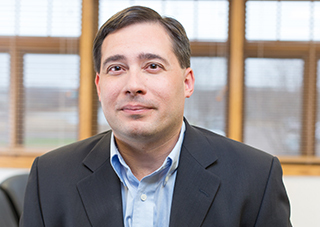 In his practice, Ryan defends employers on a wide range of employment matters, including breach of contract claims, wage and hour disputes, unemployment compensation disputes, and discrimination claims filed under the Wisconsin Fair Employment Act. He also represents clients in general litigation and appellate matters. Ryan is a graduate of the University of Wisconsin Law School and joined the firm in 2005. Formed in 1991, Weld Riley, S.C. is the largest law firm in the Chippewa Valley. The firm practices in all major areas of law and is comprised of litigation, labor and employment, business, real estate and government relations sections. The firm has offices in Black River Falls, Eau Claire and Menomonie and employs 73 people.